Nancy Gertrude Brumley Weik is my mother and is the one who inspired me to take our genealogy passion to further heights. She was the first born child to John Leo Brumley and Nellie Opal Sells on December 6, 1920, in Kansas City, Wyandotte, Kansas. There would be four more children born to John and Nellie, Leo Isaac, John, Jr., Gerald Raymond and Shirley Ann Brumley. The Brumley family lived in several residences around Kansas City, Kansas. Her father was a carpenter by trade and her mother was a stay at home mom. Times were hard for the family during the Great Depression of the 30's and work was scarce for her father, but they made it work. They created their own entertainment by learning how to play musical instruments from their Brumley uncles. Her father would stand in the bread lines when food was scarce to provide for his family. They learned to count on each other as a family in the good times and the bad. In the summertime, they would have "Fresh Air Camps" in Kansas City, Kansas free for low-income families. She made friends with several girls and they learned life skills while attending plus they got good meals to keep them healthy and plenty of milk to drink. She loved going because for inter-city children there wasn't much going on since the school was out of session. As a young lady, one of her first jobs was a laundress. She would fold clothes for people who brought their laundry into the laundry shop. She worked with other young people and became friends with many of them. Like her for the most part, that was their first paying job. As she became old enough to work for the WWII war effort she applied to work at the Lake City Army Ammunition Plant in Independence, Jackson, Missouri. They manufactured and tested small-caliber ammunition for the U.S. Army. She was hired and took the streetcar every day from her home in KCK to Independence, Missouri. It was her first real job making a decent wage. As the war was drawing to a close Lake City reduced their workforce leaving my mother to seek work elsewhere. She then applied to Loose-Wiles Biscuit Company in Kansas City and was hired. While she was working there and after the War was over she meant several new people. One new person was Merle Otto Weik and they began to date. On November 8, 1946, she married Merle at the Johnson County Courthouse in Olathe, Kansas. They began their life together living in Kansas City. Merle was able to get a job at one of the many horse farms in the area. He worked with Quarter horses preparing them to show in the Kansas City American Royal each year. During this time Nancy and Merle had their first child - a boy. It died a short time after birth because of a congenital cardiac or pulmonary defect and they were devastated. Merle was given an opportunity to work with Midwest Metals in Davenport, Scott, Iowa. They were ready to move on from their loss and start fresh again. Once again they tried starting their family and on December 11, 1950, they had a daughter, Diann Marie Weik. 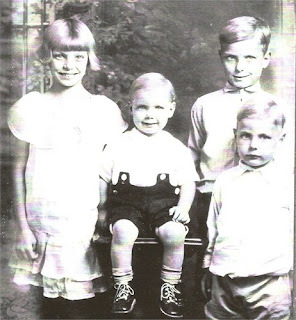 In 1952 they had a son named Richard Merle and in 1954 their last child, John Edward Weik was born. Midwest Metals sent my dad to Sterling and Joliet, Illinois for a time but the family finally landed in Streator, LaSalle, Illinois for the last time. My mother did not want to keep moving the family around so we stayed planted this time. He worked with steel fabrication just outside of Streator in a small town called Kernan. In Streator, the family became involved in school and in the community. I was in 4-H and my brothers were involved with the Boy Scouts. When all of us had graduated from high school, my father wanted to return to his home in Manhattan, Riley, Kansas. My mother would be once again close to her family in Kansas City and my father would be able to be with his mother and siblings in Manhattan. In their later years, my father's health began to fail and on December 22, 2004, he died at the age of 82. They had been married for 58 years in good times and bad. 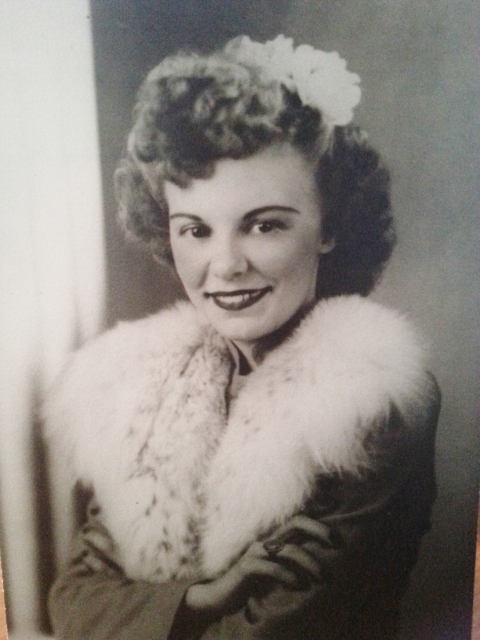 My mother never quite got over her loss and on October 5, 2005, she died at the age of 84. 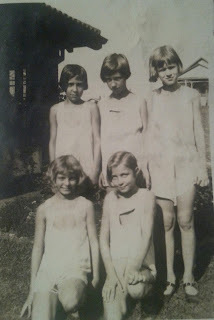 This is a new blog I have started with my family genealogy. If you enjoyed this post, I'd be grateful if you'd help it spread by emailing it to a friend or sharing it on Twitter and Facebook!! Thank you.! !